If you need multifunctional furniture to move around the house, and use in a fast and easy way this armchair may be the solution you were waiting for. It is a modern armchair which transform into a single bed, with one left or right armrest or arm less version. The armchair bed is compact but still offer a generous seating space and the back is reclining at different positions. 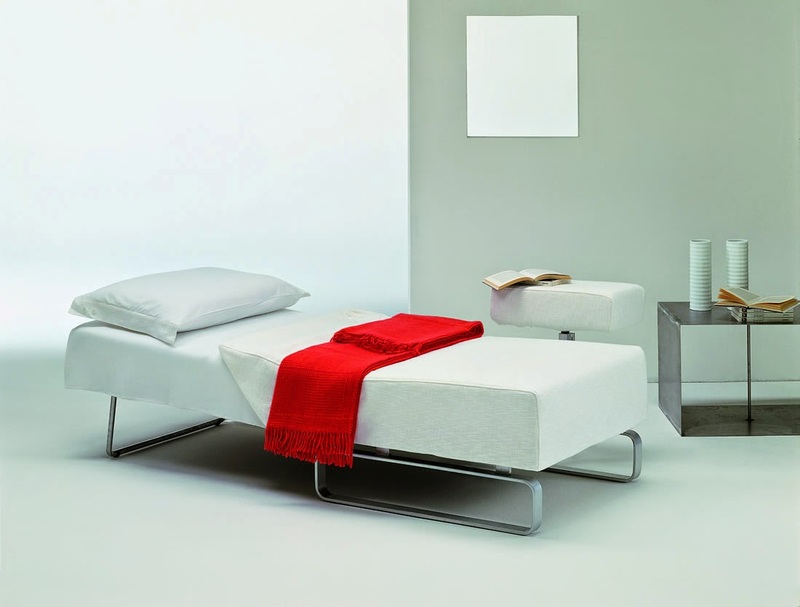 This modern armchair bed if taken in multiple numbers can also look as a sofa bed. For example, if you need multiple beds and want to design a seating area you can choose three of these armchairs one with left arm, one armless and another one with right arm to create a three seater sofa which turns into three separate single beds. Look at this above design, two armchairs beds combined together create a two seater sofa. Separate them and transform them into a two single bed in a quick step. A clever modern design created by the mind of Italian designers, with the Italian quality and modern fabrics selection. 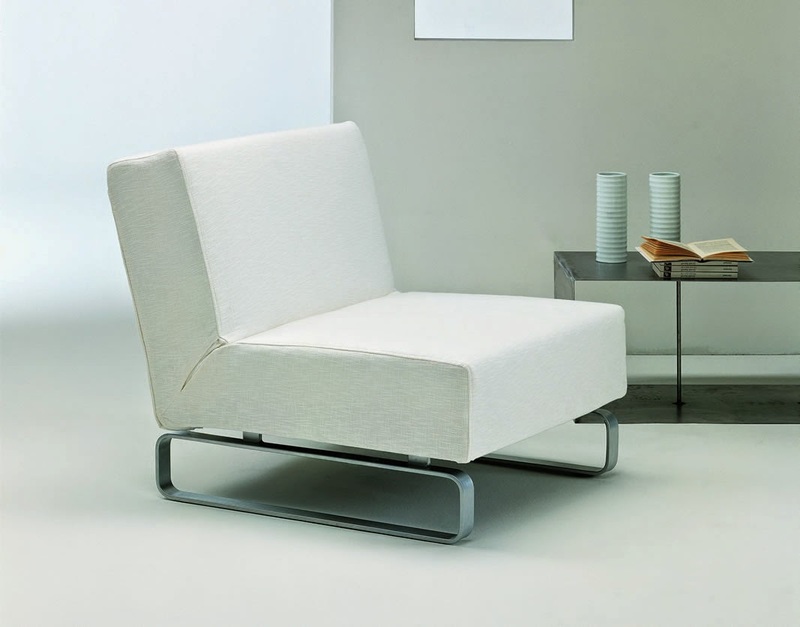 The opening system of this modern sofa armchair bed is quiet easy. The back must be pulled completely forward and then all the way back, the cover is unzipped and a third bed part is unlocked and your single bed is ready to use. This modern armchair bed - sofa bed is available in multiple fabrics and materials, the cover is completely removable for dry cleaning. Modern colors and textures, modern full grain leather, ultrasuede, faux leather and mixed materials are available. Our Italian furniture is imported from Italy and top high end quality. We have a considerable amount of armchair beds and ottomans which convert into single beds as well as a large number of modern designer sofa beds . 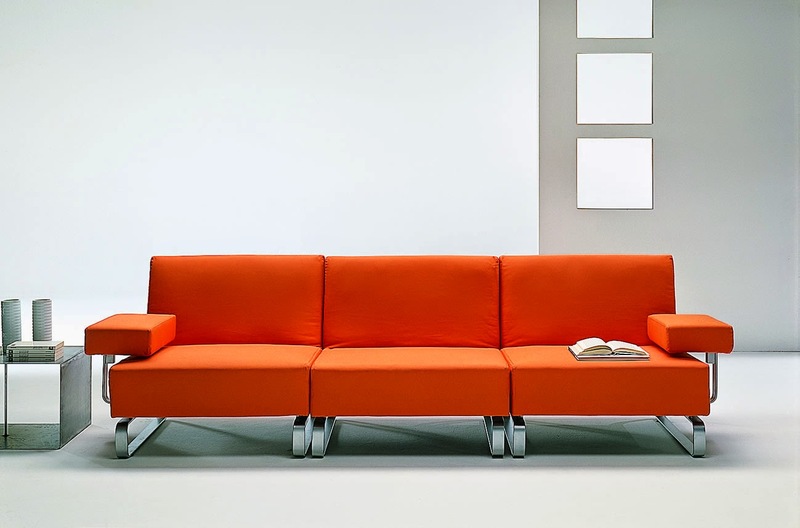 By visiting our website at www.momentoitalia.com you can browse this lovely selection of Italian quality sofa beds and transformable furniture; All of our sofa beds and our furniture products are made in Italy and imported from Italy. High end quality, high end design and details. We also added a latest selection of edgy fun colorful space saving furniture, check our website to see this collection or select Italian quality modern sofa beds, and then call us to personalize your experience, ask us about fabric selection and more information about these wonderful sofa beds. We are specialized in modern Italian furniture, with a particular attention on modern sofa beds, space saving furniture and modern sofas. Our modern sofa beds are of the highest quality, with removable cover and storage spaces, a very esy to open mechanism with Italian quality, and many modern fabrics. You will definitely find the right sofa bed because they are available in so many sizes, in sectional versions or you can go as small as an armchair bed! If you need a king size because you like sleeping large, selected sofa beds feature king size mattresses as well. And always made in Italy, Italian quality and design. We are specialized in modern Italian furniture !